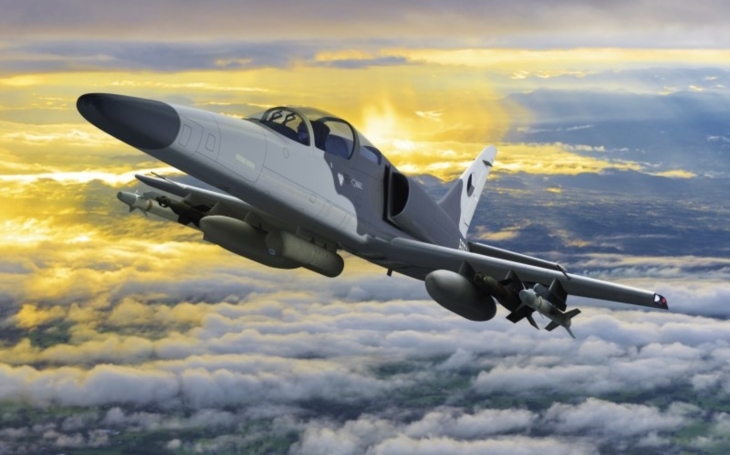 AERO, the biggest Czech aircraft manufacturer, and Israel Aerospace Industries (IAI), world leader in defense systems technologies, introduced cost-effective, combat proven fighter attack aircraft. The F/A-259 Striker is a multirole aircraft for close air support (CAS), counter-insurgency operations and border patrolling with interception capabilities. The aim is to offer the USAF an aircraft that meets the OA-X (Light Attack Program) requirements. The aircraft was presented during the Farnborough 2018 airshow held from 16th till 22nd July in the United Kingdom. The recent edition is the the most globally-attended with nearly 100 countries represented and an unprecedented number of military and civil commercial delegations. The F/A-259 Striker is generally a development of the L-159A ALCA or Advanced Light Combat Aircraft, which itself is a light attack subsonic jet derived from the worldwide popular L-39/59 trainers, developed between 1994 and 1997. The Czech Air Force currently operates 16 L-159As with the 212th Tactical Squadron, and 5 L-159T1s with 213th Training Squadron. See also: The L-159 Light Attack Jet to serve with the USAF? According to the producer the F/A-259 is able to operate from unpaved runways and has seven hard points for any combination of fuel, weapons, or mission equipment, allowing smart weapons integration and standoff weapon capabilities (general purpose unguided bombs, laser-guided bombs, unguided rockets, air-to-surface and short-range air-to-air missiles, or cannon pods; the can also carry reconnaissance and targeting pods). As an optional upgrade, the F/A-259 can be equipped by AESA (Active Electronically Scanned Array) radar and helmet mounted display. Another optional upgrade is air-to-air refueling, increasing the aircraft’s range and endurance. The top speed of the F/A-259 would reach 0.82 Mach (1012 km/h), maximum rate-or-climb of 3,167 m/min (10,400 ft/min), service ceiling 13,106 m (43,000 ft) and a maximum g-loading of +8/-4 g, as listed by Aero according to Janes.com. Giuseppe Giordo, the President and CEO of Aero, said: Aero and IAI are introducing a multirole fighter F/A-259 Striker with a wide range of combat capabilities that meet those needs of Air Forces all around the world by bringing great performance with low acquisition, operation and maintenance cost.” Giuseppe Giordo added: “There are not so many aircraft on the market providing such capabilities, because it is a new requirement.” The OA-X program is meant to provide the US Air Force with efficient airpower together especially with the ability to preserve its more advanced aircraft for conflicts involving major powers. During the Farnborough airshow AERO and RSW Aviation, one of the top military training providers in the United States covering training for military forces worldwide from ab initio to operationally qualified stage, signed a Letter of Intent for delivery of 12 L-39NG Aircraft and also additionally upgrade of 6 legacy L-39 into the L-39CW variant allowing rapid introduction of the L-39CW/NG into service with RSW. AERO also met with SkyTech, a leading provider of military aviation services and funding solutions, and a binding agreement for the delivery of 10 L-39NGs including option for additional 6 aircraft was signed on the same day.